Warning, this post contains clips which some readers may find disturbing. 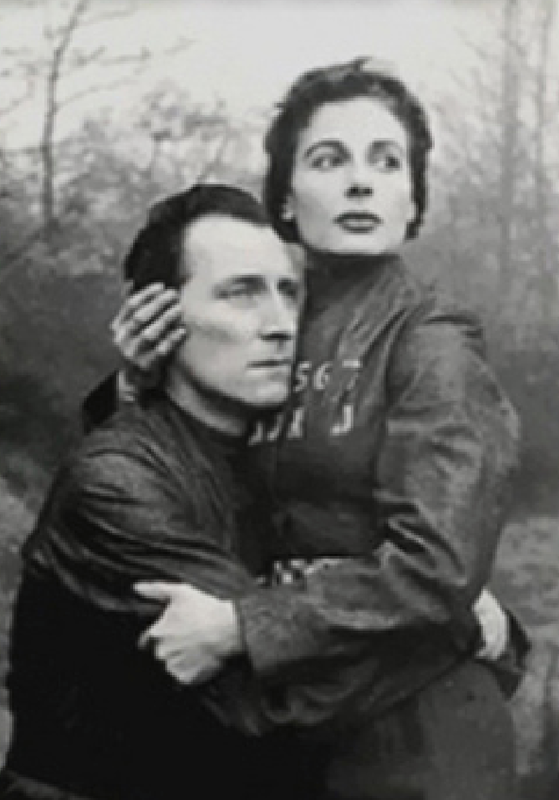 Winston Smith (Peter Cushing) and Julia (Yvonne Mitchell) in Nineteen Eighty-Four. 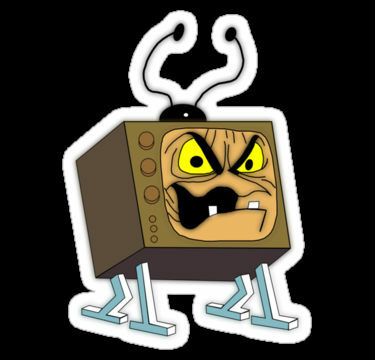 Television was still in its infancy when this adaptation of George Orwell’s totalitarian novel was shown. Staring Peter Cushing, the play was acted and broadcast live from BBC’s Alexandra Palace on the night of the 16th December 1954. At the time, this adaptation was the most expensive television drama to date- and also the most controversial, with the film’s subversive and disturbing tone leading to questions being raised in the Houses of Parliament. 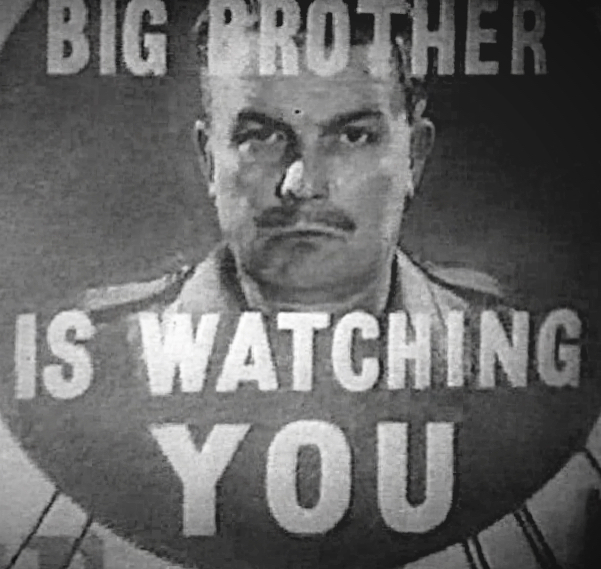 ‘Big Brother is Watching You’- still from the 1954 drama. The following clip is taken from the film’s climax in which Winston Smith is hauled to the petrifying ‘Room 101’ and threatened with a ghastly form of rat torture. In real life Peter Cushing really did have a phobia of rodents which makes his turn all the more disturbing. In The Day the Earth Caught Fire, nuclear bomb tests conducted by the USA and USSR have caused a catastrophic shift in the Earth’s orbit, pushing it on a deadly path towards the sun. 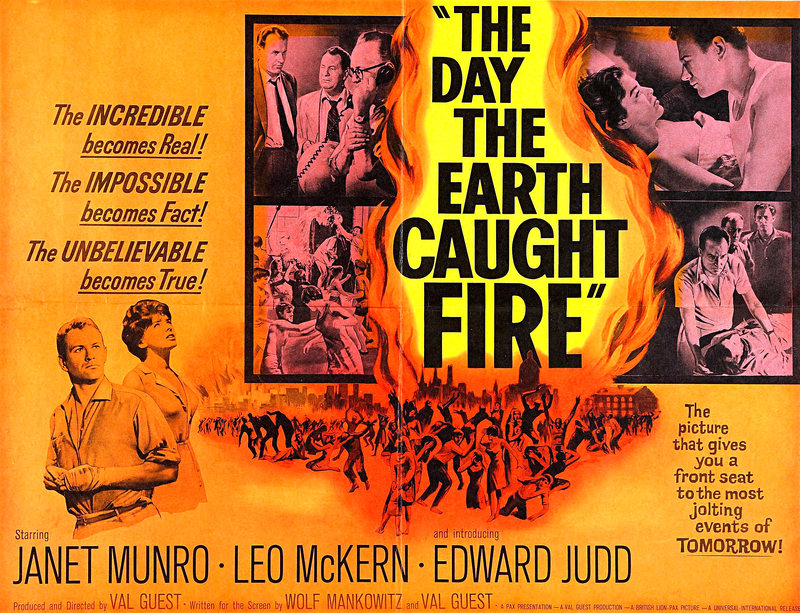 Original poster for The Day the Earth Caught Fire. The story focuses on Peter Stenning, a journalist from the Daily Express who covers the crisis from his Fleet Street office. Although made in black and white, the final section of the film is tinted yellow to emulate Earth’s soaring temperatures. So intense is the heat that the Thames completely dries up. 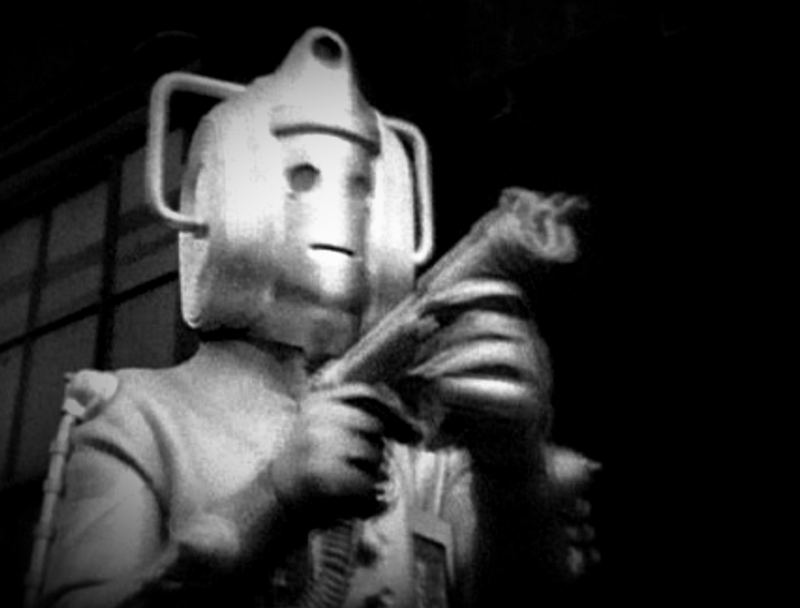 Despite the obvious budget limitations, I’ve always found the Cybermen from the 1960s to be particularly chilling with their soulless eyes and uncanny electronic voices. In this clip an army of Cybermen emerge from London’s sewers and begin their march on the capital, including an iconic shot of them stomping before St Paul’s Cathedral. Death Line (known as ‘Raw Meat’ in the USA) is a rather daft film in which a pack of cannibals lurk on the London Underground, snacking on hapless commuters. 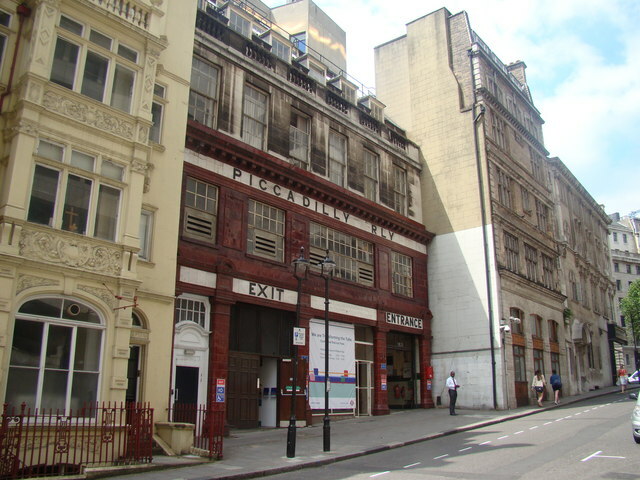 Much of it was filmed at the now disused Aldwych station (a site still popular with film and television crews today). The original American trailer for the film can be viewed below. This modern classic about ‘Damien’- the young incarnation of the devil himself- was shot on location across London, including scenes at Lambeth, Hampstead Heath and Grosvenor Square. Gregory Peck on location inside the American Embassy, Grosvenor Square. In the film, Catholic priest, Father Brennan (played by Patrick Troughton) is aware of Damien’s true identity and attempts to warn Robert Thorn (Gregory Peck) who is the US ambassador to Britain and Damien’s adoptive father. 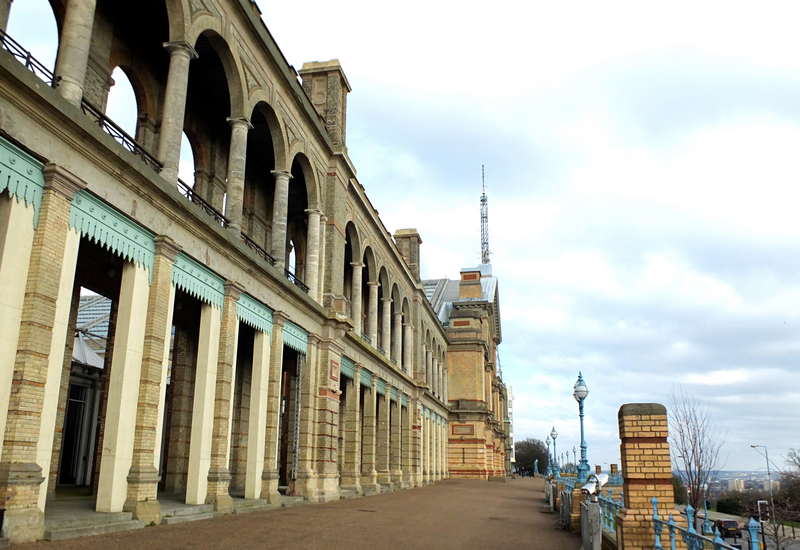 The shocking scene in which Father Brennan meets his grisly fate was filmed beside the Thames in Bishop’s Park, Fulham (look out for Putney Bridge which can be spotted in the background). The Omen’s final scene in which Damien gives the camera a sinister (and unscripted) smile was shot just outside the capital at Brookwood Cemetery in Surrey. For many years, Brookwood was linked to Waterloo station by a special funeral train (click here to learn more). Like The Omen, this cult favourite features many London locations. 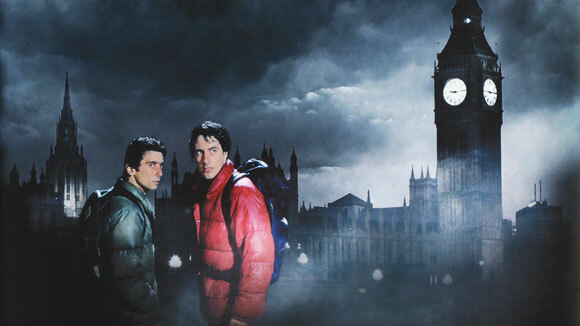 After a vicious werewolf attack on the Yorkshire Dales which leaves his friend dead, American backpacker, David Kessler (played by David Naughton) ends up in a London hospital where he falls for nurse, Alex Price (Jenny Agutter). 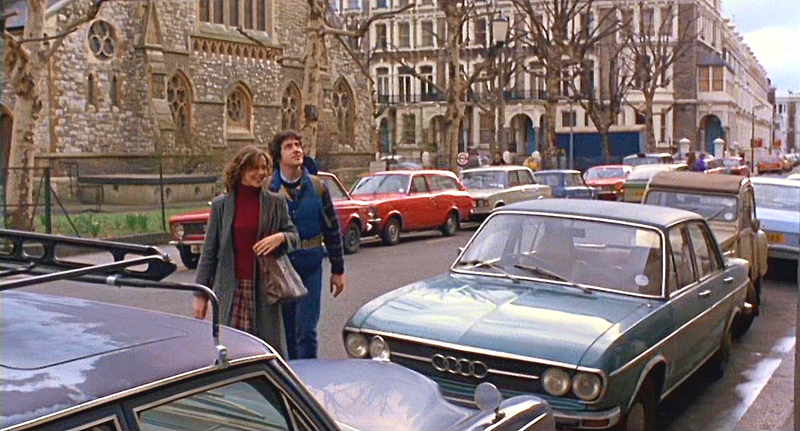 As David has nowhere to stay, Alex invites him to her flat at Redcliffe Square, Earls Court (sadly, I’m not quite sure how a nurse would be able to afford to live here nowadays). Redcliffe Square, as seen in an ‘American Werewolf in London’. It is here, as a full moon looms, that David succumbs to his werewolf bite…and transforms into a beast in a celebrated, but highly disturbing special effects sequence made long before the days of CGI. Shortly afterwards, we see David’s werewolf form commit its first attack on a young couple outside The Pryors, East Heath Road, Hampstead. The werewolf then goes onto pursue a hapless late-night commuter at Tottenham Court Road tube station. 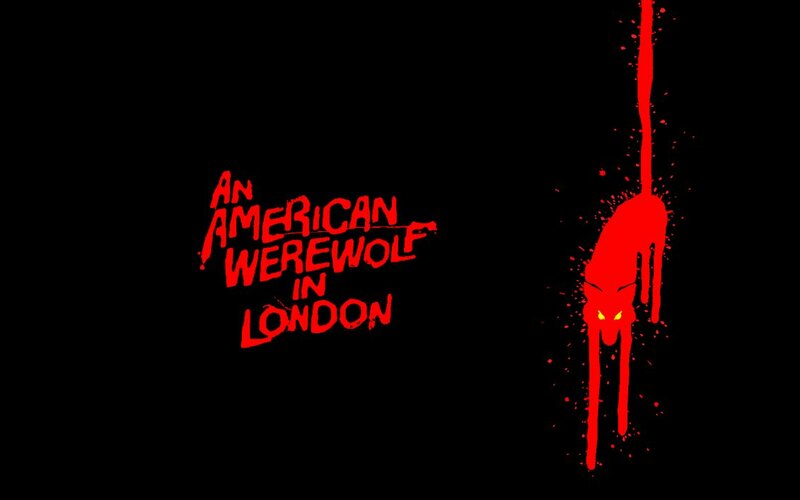 Finally, in the film’s famous climatic scene, the werewolf goes on a shocking, bloody rampage across Piccadilly Circus before meeting its fate at the hands of police marksmen on Clink Street, Southwark.